Gionee has just launched the Gionee S8s, the companies first smartphone to run on the latest Android 9.0 (Pie) OS. The device comes with a wide notch which is dubbed the “Notch Fullview Display”, also with an elegant design and good features. This device is a mid-range device is currently available for order in Nigeria. We have seen much of 2019 devices coming with the dual camera and this S8s is not an exception. There have been some kind of upgrades like more internal storage capacity, good camera, and the latest Android OS to make this device user-friendly. Gionee is not known for complicated designs and this Gionee S8s has a simple sleek design with a 5.86-inch display and a wide notch cut out at the top which houses the front-facing camera, speaker grill, and proximity sensor. The display itself has a Full HD 1520 x 720 pixels screen resolution and of course, a 19:9 aspect ratio. There is also a significant amount of chin at the bottom. At the back of the device is the camera, located at the top left corner and a LED flash under the camera. At the center top, is the fingerprint scanner. The screen full HD resolution provides an awesome viewing with the device. The overall device is made of plastic as expected because of its price. It weighs 167.5 grams and measures 8.75mm in thickness and comes in two colour options (Black and Gold). There are a total of three ports here – Two Nano SIM slots and a microSD card slot for storage expansion. Despite the price, this device is designed to perform efficiently and to improve the user experience. On the inside, the Gionee S8s comes with an octa-core MT6762 processor pacing along at an impressive speed of 2.0 GHz. The robust chip is married to abundant 3 GB of RAM for fluid performance and glitch-free gaming. You can't anything less than fast performance even while multitasking. The performance is also enhanced with the Android 9.0 OS. You guaranteed to have a good experience with no nagging or hanging even under heavy usage. As for the storage, it is packed with a massive 32GB internal storage that can also be expandable using an external MicroSD card up to 128GB, thereby providing lots of storage space to store more files. Furthermore, the rear camera of the Gionee S8s is packed with dual cameras, a 13MP main camera shooter which is accompanied by a secondary 5MP depth sensor camera, making portrait mode photos possible. It is also equipped with a dual-LED flash for those low light shots. The front facing camera is a single 8MP camera catering for all the selfies needs. The Gionee S8s has a normal 3,000mAh Li-polymer battery capacity. The battery also equipped with US Type-C for fast charging. I understand that the battery capacity is a big factor before deciding on buying the device. But, Gionee promises an all-day along usage though the battery has not been put to test to confirm how long it can last. 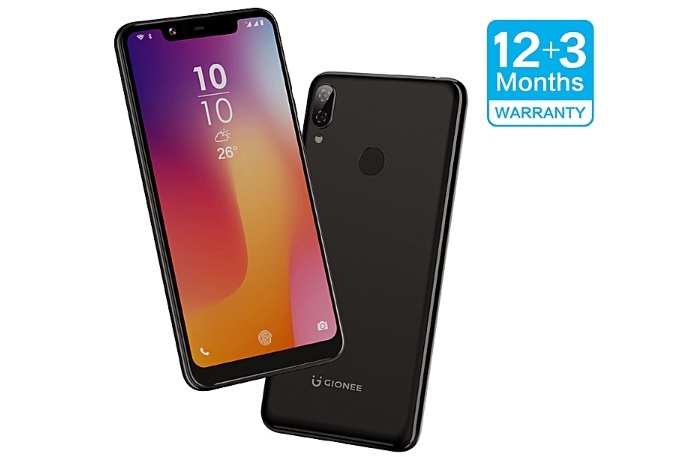 Other features that come with the devices includes a fingerprint scanner, supports dual SIM functionality, Bluetooth, WiFi, WiFi hotspot, GPS, OTG, and 4G LTE connectivity. Finally - Considering the price, the cons should be overlooked. But there are some phones at this price range with better features and bigger battery capacity. If you are not confortable with the battery then you can check out other device here. I am a graduate of Civil Engineering, a BIG fan of digital innovations and smart devices. I come here to write about the latest happening within the technology industry as new smart and wearable devices are growing faster in our todays world than we can imagine.